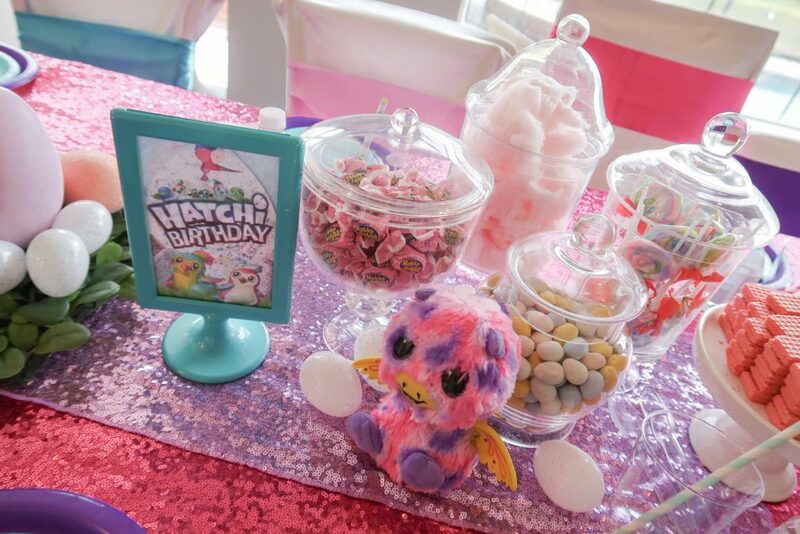 If your daughter loves Hatchimals, I have a fun new party theme to share with you! To be honest, I didn’t know what the fuss about these little hatching eggs was all about, until I bought one for my girls for Christmas (found for a great price on Black Friday). We spent three days hatching their twin egg and after they were both hooked! Coincidentally, we had a client book a Hatchimals Party for January so the timing worked out perfectly. I even saved the package and the cracked egg to use in our decor. 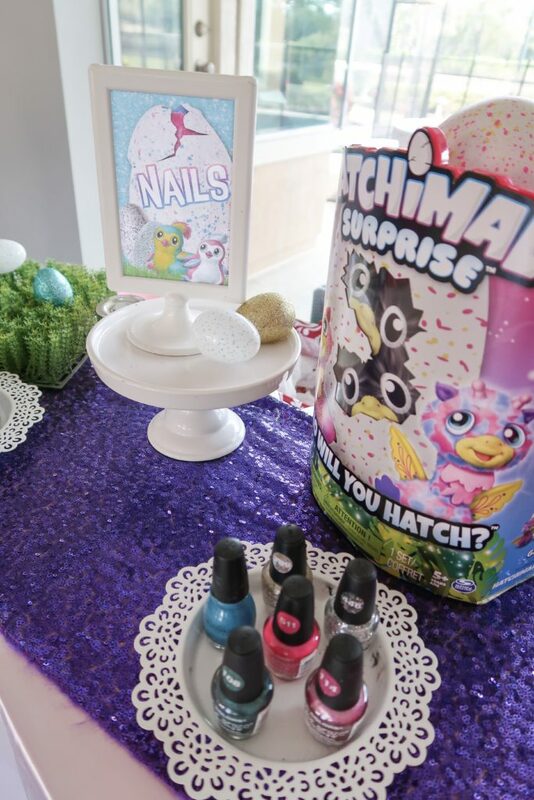 Our color scheme was hot pink, purple and teal inspired by the gradient colors on the Hatchimals boxes. We used lots of sparkles because who doesn’t love sequins? 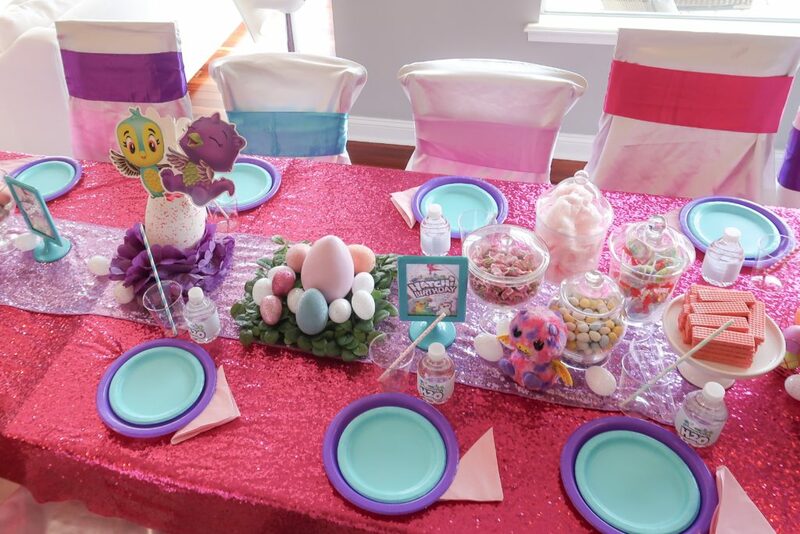 We mixed in lots of fake pastel and glittery eggs. I also purchased a few packs of plain white plastic Easter eggs from Hobby Lobby ($0.99 per 12 pack). I drew dots on each egg to give it a speckled look which surprisingly took longer than I thought. 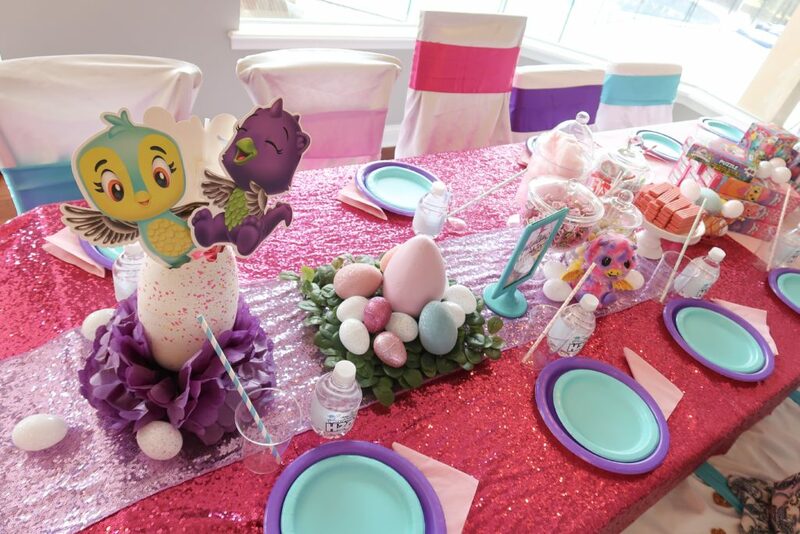 The centerpiece was made from a cracked Hatchimals egg with a tissue pom pom base. 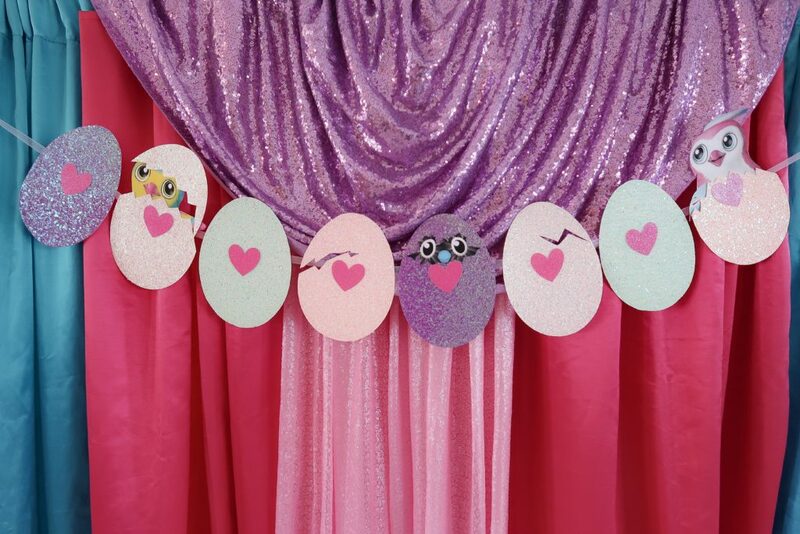 We used these photo props as inserts for the egg, and throughout the party as decor. I made a banner for our backdrop from textured glitter card stock. I cut hearts on my Cricut and added a few fun cracks with peaking characters that I found in Google image search and printed on card stock. 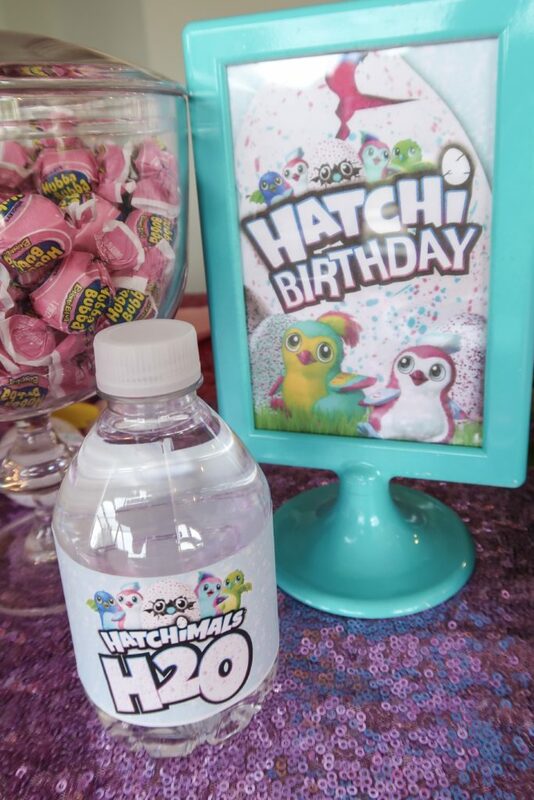 You can download the “Hatchi-Birthday” 5×7 sign and the Hatchimals H2O water bottle labels at the bottom of this post. No party is complete without activities for the guests. 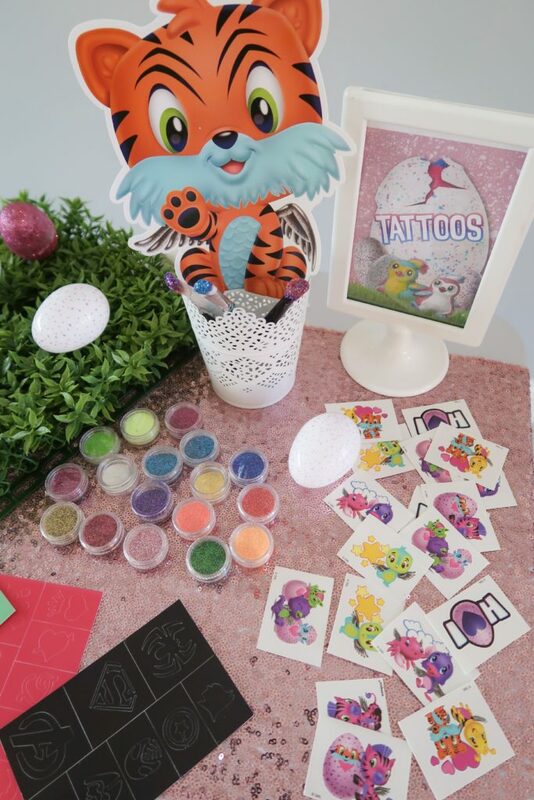 We offered nails, tattoos and glitter tattoos. 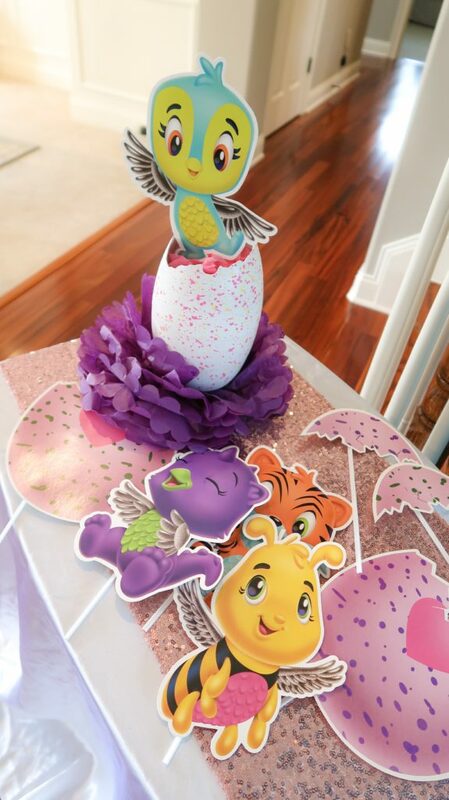 In addition, we had a Make-An-Egg station with an easy foam Easter egg craft set from Michaels. We also played Minute to Win It style games with Easter eggs. 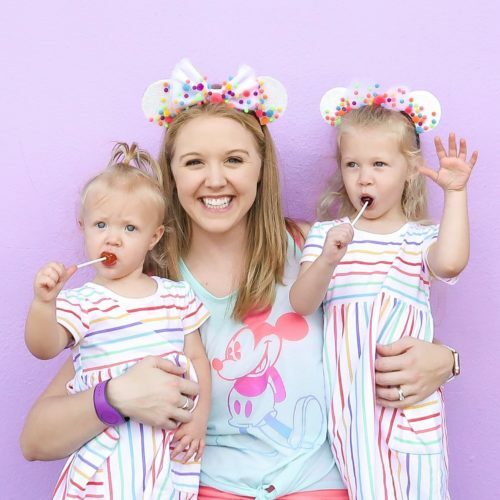 Here are a few fun ideas! 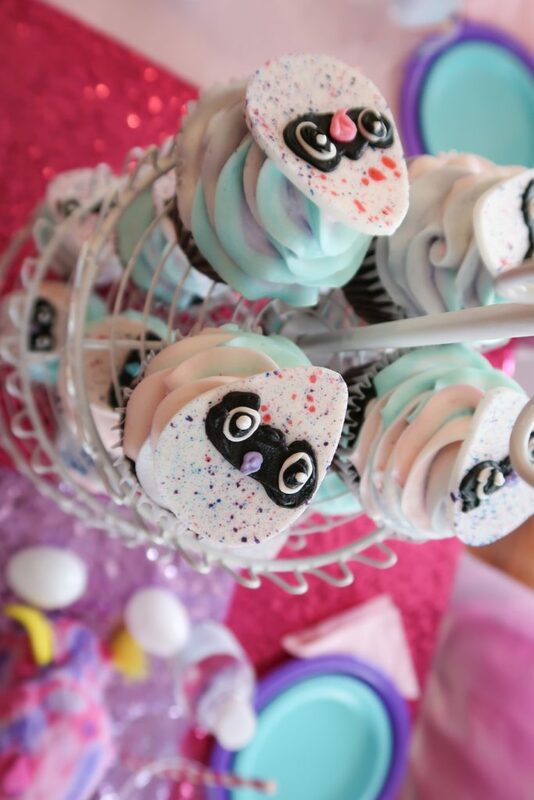 These cupcakes were made by Publix with cute speckled egg toppers made from Fondant and Buttercream Icing. 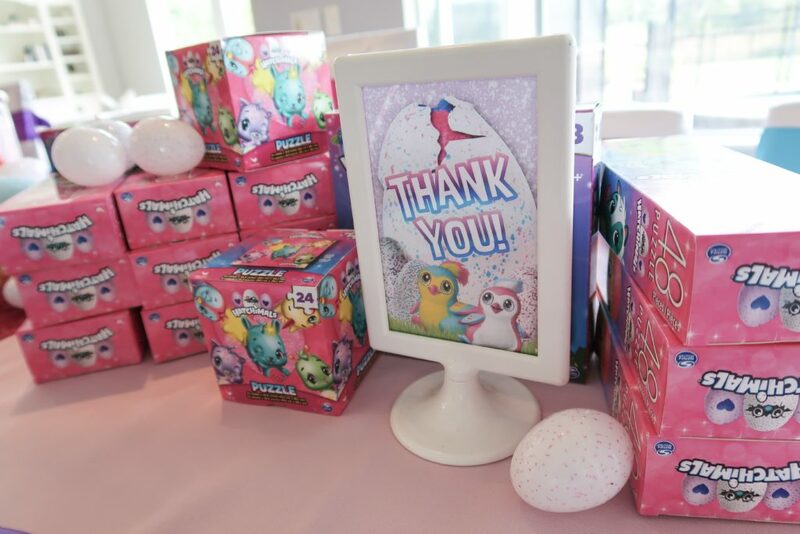 We had a candy buffet with pink cotton candy, Strawberry water cookies, pastel colored lollipops, pink bubblegum, and speckled robin egg candies (like these). Kids also enjoyed a veggie selection, mini sandwich wrap rolls and chicken nuggets. We provided mini goodie bags for guests to take home extra candy. In addition, we found these Hatchimals puzzles at the Dollar Tree which made perfect favors. Wal-Mart also has a Hatchimals in the party section with slap wrist band bracelets, hair bows, mini egg surprises, plastic cups and more! 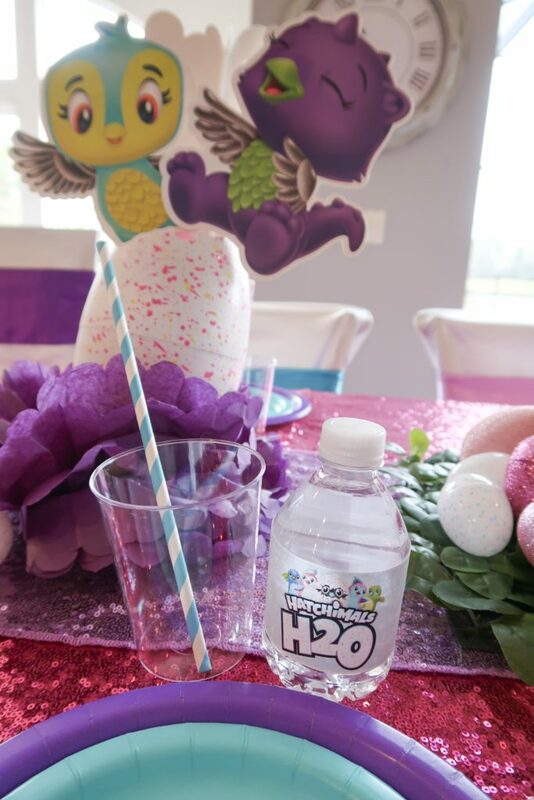 Download Hatchimals Party Printables for free below!